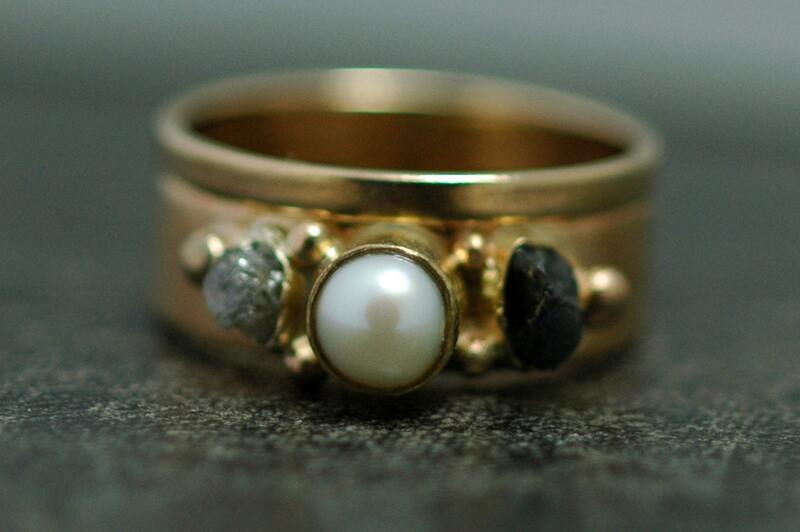 This is a made to order, two-ring custom set. It includes a wedding band and engagement ring. 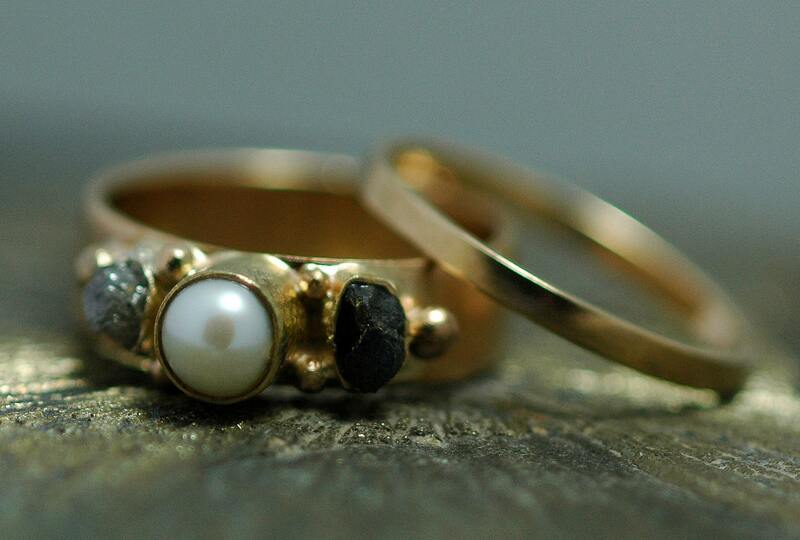 Both are handmade, using the colour of 14k gold of your choosing- either white or yellow. Please get in touch for rose gold, which is slightly more expensive. 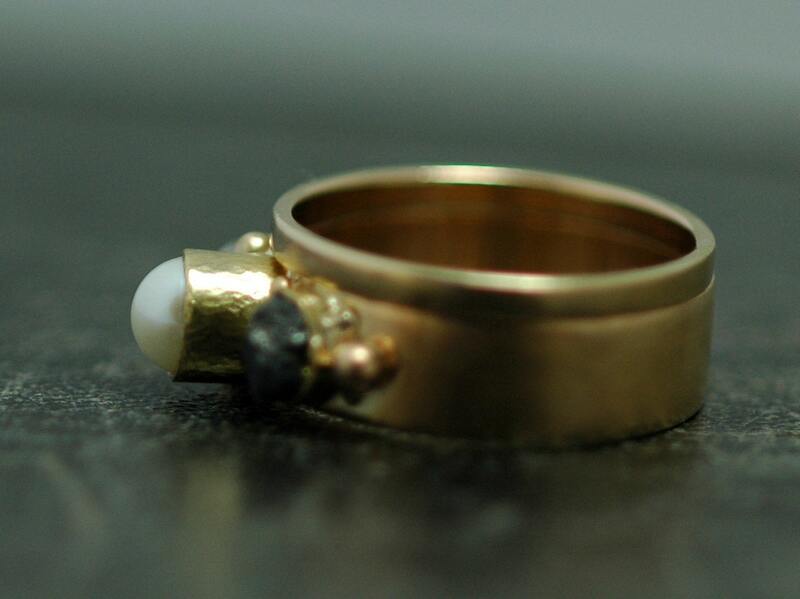 The wedding band is made of 2mm x 1mm rectangular profile ring wire. 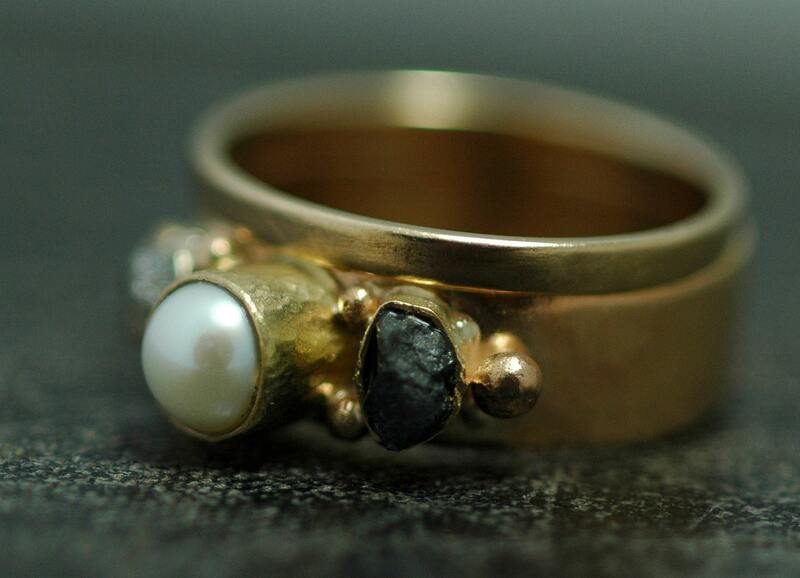 The engagement ring is 4mm x 1mm rectangular profile ring wire. The pearl is freshwater, and is approximately 6mm across. The diamonds are conflict-free, and are in their natural formation. These little crystal cluster diamonds measure around 3- 3.5mm across. My diamonds are all hand-chosen for me by my dealer, and are certified conflict-free. 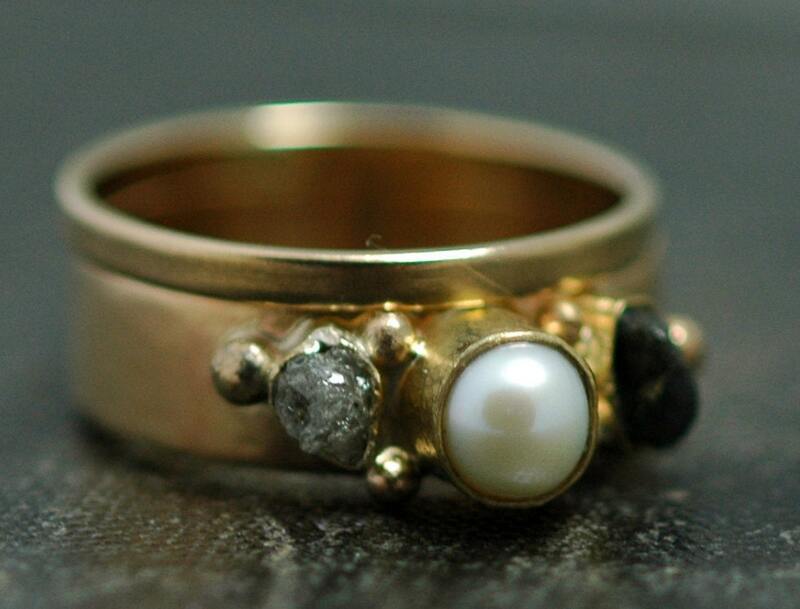 The pearls I have on hand for this ring are white with pink overtone, champagne/cream, lilac, pale pink, or copper. These pearls are all freshwater, and are naturally coloured.